Finally, there’s a fast, admin-free solution to donate to your favourite charity and make a difference in the world. It’s called Zapper for Donations. This modern donation channel allows charities and NPOs to make use of innovative QR code technology to accept financial contributions from their sponsors through mobile payments. 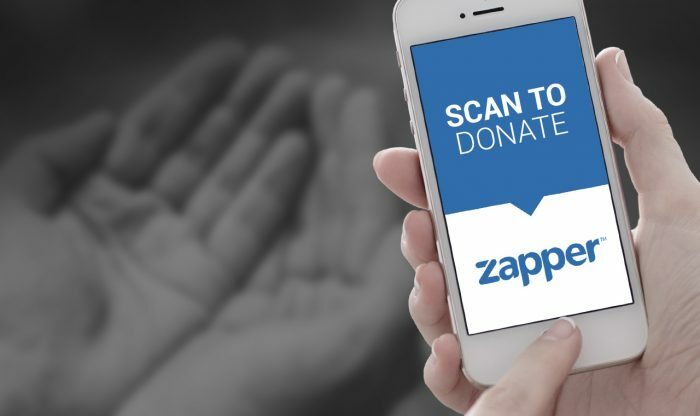 Donors simply scan their preferred charity’s QR code with their smartphone using the Zapper app, choose from a selection of pre-set amounts, or enter an amount that they would like to donate, and confirm the payment. The process is quick, easy and immediate. There are no lengthy information fields and no exchange of personal information or banking details. Everything is processed through the app for complete donor convenience. Zapper also offers the option to set recurring monthly donations. By offering this easier donation platform, charities can increase their conversion ratios, as the channel catalyses feelings of goodwill into financial pledges faster. Zapper’s highly functional QR codes can also be used in a variety of different advertising spaces that grab public attention with zero effort, including posters, flyers, television, e-mailers, formal invitations, websites, t-shirts and social media posts – making instant donations not only possible, but likely. It also lets charities track the effectiveness and success of their campaigns, information that can be used to implement more targeted strategies in the future. Zapper for Donations has no set up costs and allows charities to engage with their sponsors by sending direct correspondence to them through the app. This includes messages of gratitude, information on upcoming fundraisers and events, and updates on how their donations have helped to make a difference in their world.